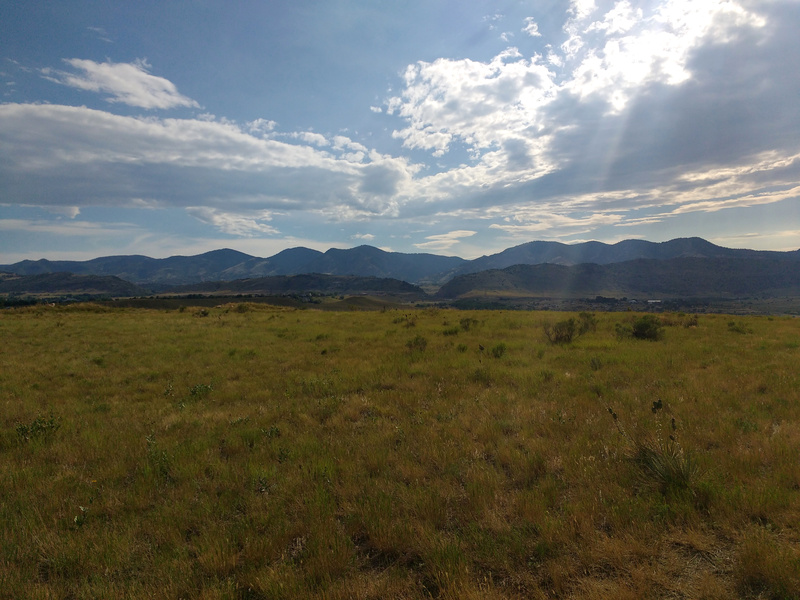 Free high resolution photo of a prairie landscape with the mountains in the background. This image shows an open field or grassland in the foreground. You can see a variety of grasses as well as a few yucca plants and small shrubs. In the background you can see the Rocky Mountains rising in the distance. Photo shot near Denver, Colorado. Free image for any use.